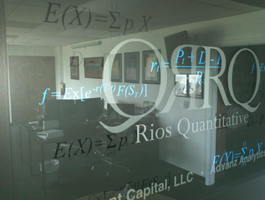 At RQ, we focus on the development, implementation and monitoring of quantitative and algorithmic trading systems. In the electronic financial markets, "quant" and "algo" trading is defined as the systematic application of trading strategies through the use of computer programs. 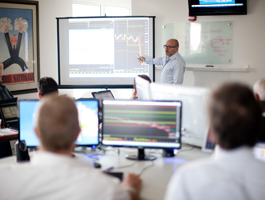 Our models are developed by our staff of market professionals consisting of traders, strategists and programmers utilizing comprehensive and rigorous research. 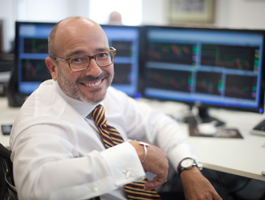 The RQ's approach is to eliminate or mitigate trading decisions driven by emotion, indiscipline, passion, greed and/or fear, in addition to other factors that contribute to human error. To assess a trading system, one must understand the strategy and the risk-management being implemented. You should also learn as much as you can about the developer. 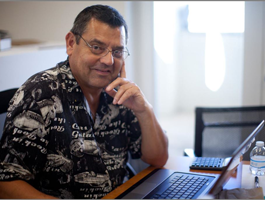 At RQ we welcome and encourage you to get to know us on a one-on-one basis. 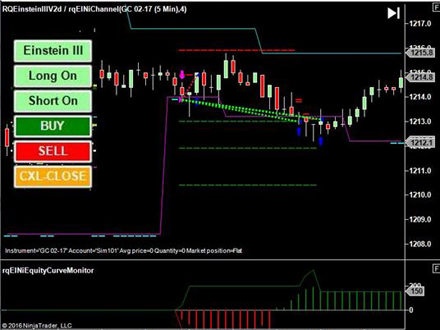 iNewton™ is our latest and most advance automated trading system to date. 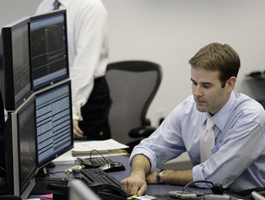 The quantitative model is designed for day trading as well as swing trading. Features include intermarket correlation analytics, three motion filters and multiple exit strategies. Entries are based on bullish break outs and bearish break downs of price action. 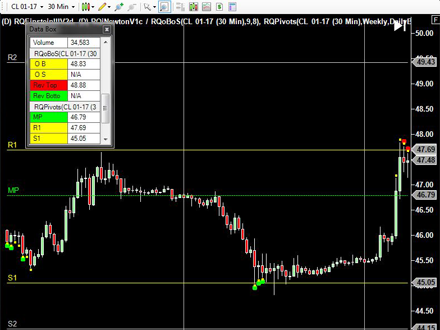 Multiple exit strategies allow traders to take short term profit and/or keep you in the trend. Money management features include equity curve trading halts for equity run ups and draw downs. 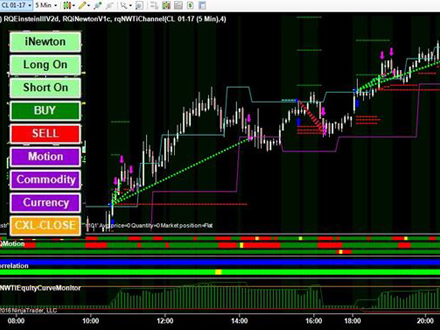 Multiple action buttons on the chart allows you easy access to quickly enable or disable trade automation as well as trade filters including, intermarket correlations, motion, longs only, shorts only and buy and sell buttons. The RQ Einstein III is a quantitative automated model designed for specific assignments such as exploitation of short-lived trading opportunities. 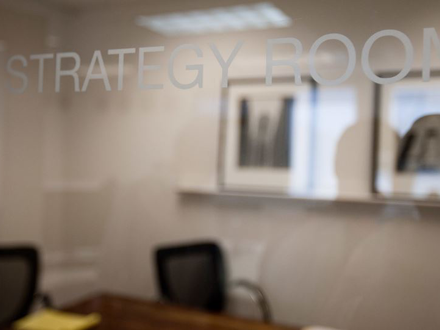 At the core of the strategy is an RQ proprietary code with forward-looking algorithms designed to forecast and search for potential key price levels of the markets. The focus creates opportunistic opportunities associated with the volatility at these critical levels. It is an alpha model therefore, most effective when applied across multiple asset classes. The RQ Tech's multiple functionality is designed to help active traders gain clarity when the markets seem to be in chaos. The DMS, our proprietary dynamic market sentiment indicator provides quantitative identification of risk-on and risk-off correlations in real-time. The Nextreme velocity indicator helps traders identify where the market momentum is developing making it instrumental for selecting markets poised for aggressive price action. 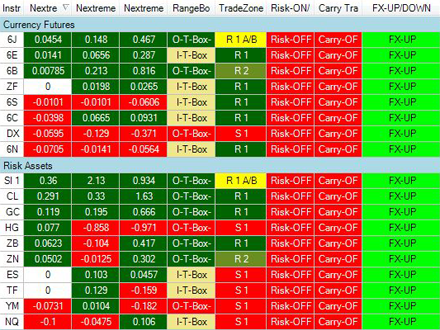 The Carry Trade and FX Flows indicators are also beneficial for spotting institutional rotation flows. The RQ OBOS-R markers spot short term over-bought or over-sold conditions as well as potential retracements from recent price action. The over-bought markers display in yellow above the price bars. The over-sold markers display in yellow below the price bars. 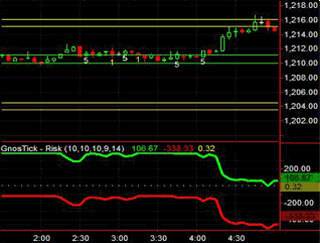 Retracement markers display in red, above bars for a recent rally and display in green below the bars for a recent sell off. As a comprehensive package of indicators, the GnosTICK is designed to provide traders access to innovative methods to take profits from the markets while controlling risk. The concept, methods and tools are outlined in an easy to understand step-by-step format. The GnosTICK's methodology to trading the markets is based on odds and the objective is to keep the odds in your favor. The exact logic is revealed with all the necessary rules needed for understanding the knowledge and procedure that drives the GnosTICK algorithm. The Advanz Auto4X™ platform takes your TradeStation® strategy signals and automates their execution to multiple clearing firms. 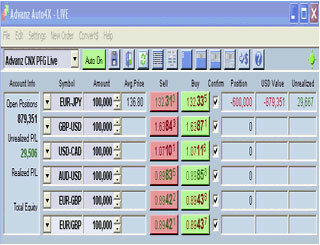 It is designed to be powerful, flexible and accurate to meet the needs of complex institutional trading departments. It is also designed to be simple and efficient for an individual trader. Advanz Auto4X™ supports the execution of any number of strategies working on any number of time frames to any or all of the Forex crosses available for trading. 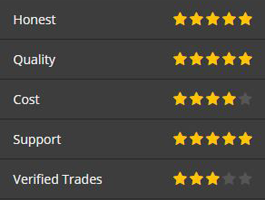 Connectivity is available to: Currenex (CMS, PFG, Marex, London Capital, GFT, FCStone, ADM, Baxter FX, FXDD, Man Financial, ODL, NewEdge, BGC/Cantor, etc.) 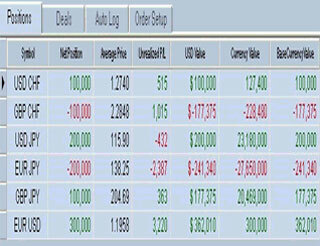 Oanda, Lava, Hotspot, FXAll, CAX, FIXI, DBFX, FXInside (Integral), MB Trading, Interactive Brokers, GAIN, Forex.com and FXCM. In today's market, quality executions can be the edge needed for top systems performance. Advanz Auto4X with smart order routing can offer you customized strategies for your specific needs including high frequency, hedging, event-driven, and opportunistic trading. You can set up multiple strategies at multiple clearing firms. 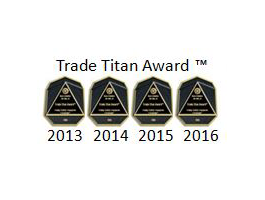 Trading signals can be routed to best bid/offer prices from multiple clearing firms to obtain optimal executions.